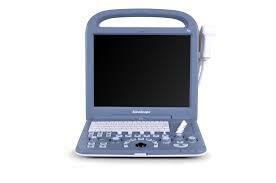 The Sonoscape S2 Portable would be similar to possibly the Mindray M5. The S2 portable does not do cardiac or have CW Doppler but it will do anything from 4D, OB, Gynecology and Vascular scanning. The great thing about the S2 is you have a very good price point that includes good imaging and a full warranty. As Sonoscape progresses with new equipment, the user-friendly nature and imaging capabilities are worth the investment. The Sonoscape S2 portable has a 15″ LCD Monitor, modern speckle reduction and imaging enhancements but keeps your budget in focus and costs less now and later as the maintenance is minimal with this durable machine.